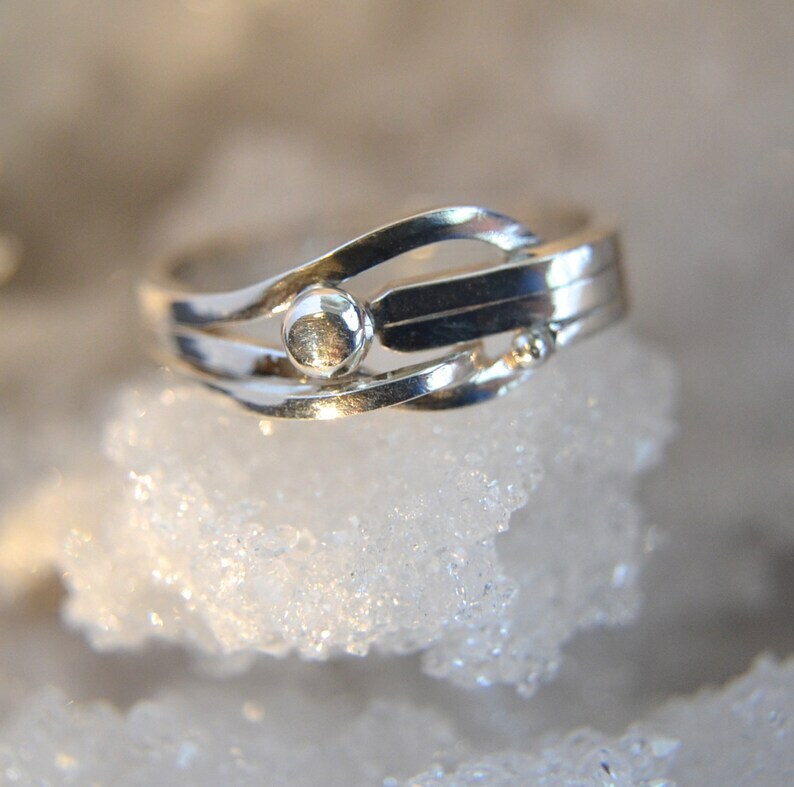 I'm usually all about sparkling gemstones but what really makes my creations unique, is the metalwork. I hand make each piece starting with bits and pieces of sterling silver. This ring doesn't feature a stone but rather, intricate metalwork. I started with three long strips of square wire and let them play. The finished ring is almost 5mm wide at the palm side and 9.5mm at the widest point. It has a bright highly polished finish and will come with a polishing cloth to keep is glowing. Life is too short to wear ordinary jewelry! This ring is a size 11.5.